Every day, we receive panicked phone calls from drivers who lock themselves out of their cars. Lockouts are highly annoying, especially on busy workdays, but rest assured that we’ll get you back into your car faster than any other auto locksmith in San Diego. You could, of course, attempt to open your car door by yourself, but please note that today’s car doors feature such elaborate design that you’ll risk damaging both the door and the window. Our emergency car lockout service is our most popular auto locksmith service, and we have what it takes—equipment and knowledge of cars—to safely unlock even the most high-security car doors. Unfortunately, car lockouts usually occur at the most inconvenient time—late at night or early in the morning. Knowing this, we offer our fast and affordable lockout service at all hours of the day and night—even on holidays, even on weekends, even on rainy nights. We won’t have you wait for hours while we try to find an available auto locksmith. In fact, a trained, licensed, and insured auto locksmith will arrive at your location as rapidly as humanly possible. An emergency car lockout is just one of the services we offer drivers in San Diego. 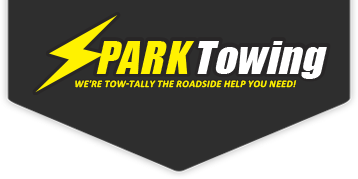 Our locksmiths were trained to handle all manner of auto locksmith emergencies, and you should also know that each and every one of our employees was required to agree to a thorough background and character check before commencing employment at Spark Towing. Call us now and see for yourself just how seriously we emphasize customer service and quality work.